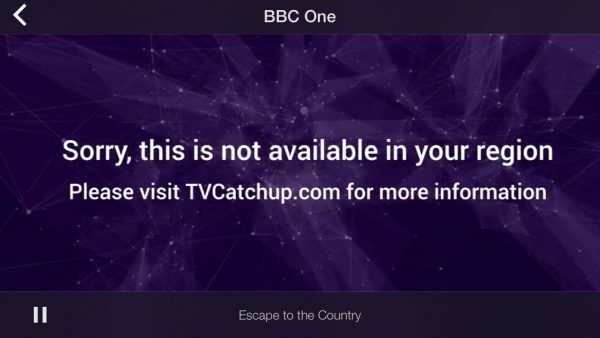 Viewers accessing UK channels overseas via TVCatchup are being redirected toTransponder, Transponder.tv is there to ensure that you continue to enjoy your favourite UK television content. 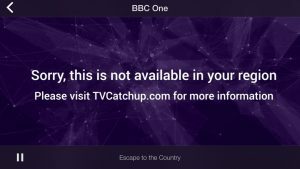 Because of changes in the law regarding access to online TV, traditional streaming services are no longer lawful and therefore won’t be around for much longer. The good news is that Transponder.TV employ a process known as spaceshifting which is lawful, and has been in use by Slingbox, Sony and many others over the years. This technology allows users to control their own individual TV equipment from wherever they wish to view it. The better news is that this allows users far greater choice of channels, although they ask you to register in order that we can allocate your individual equipment and in time retrieve recordings that you may make. You will not be sent spam, they do not want your credit card details or want to know anything personal about you, there are no financial obligations and they certainly do not (and won’t) share any data with anyone. 118 channels to choose from, no annoying advertising and recording features coming soon. Transponder.tv is currently working on making the service available on Android and iOS.